Today was a pottering kind of day, but that's what Sundays are for! Woke up at a reasonable hour, and despite it being only a five hour sleep I have felt alarmingly sprightly today. AWESOME! 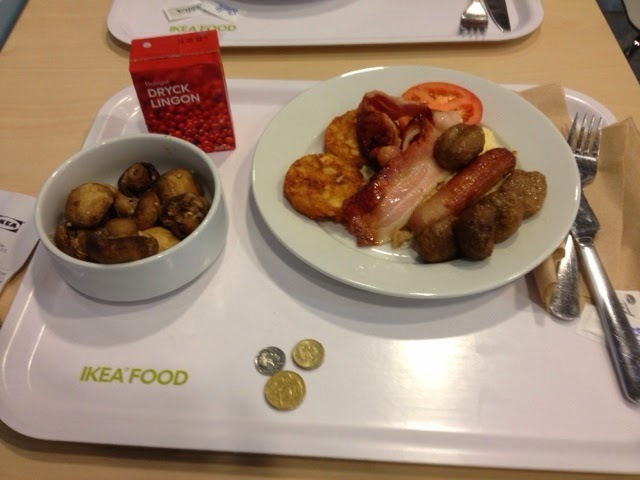 Took a trip to Ikea and discovered you could get a full cooked brekkie including juice for the princely sum of $6.95. AWESOME! Walked past a big ol' crate of puppets and simply had to buy one for my Housebaby (housemates' baby). And it is AWESOME! Cup of tea and blogging in the sunshine. AWESOME! Corned beef with mashed potato, peas and carrots for dinner. That's my Last Supper meal, by the way. Why? Because it's AWESOME! Remembering to document a pretty good day? AWESOME! What was awesome about YOUR Sunday? i've never been to ikea, but it sounds intruiging. That breakfast looks...meaty. 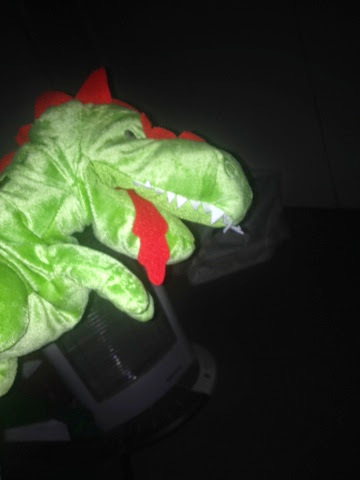 :) haha I wouldn't have thought any less of you if you had kept that puppet for yourself.